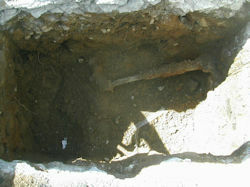 The new, safe and effective method of terminating metal services without requiring a personal air supply. 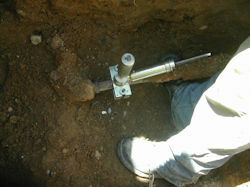 A small hole is drilled Gas-Free* into the service. 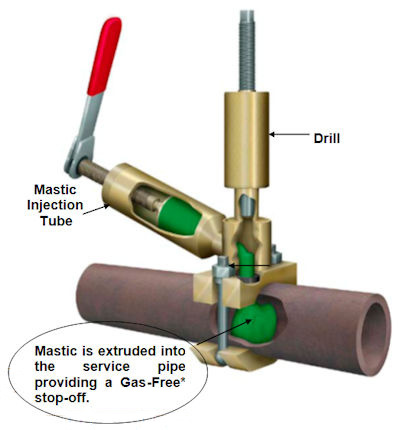 A special one part non-hazardous mastic is then injected into the service providing a temporary stopper. 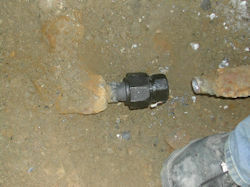 The pipe can now be cut and capped without the release of gas.